When you’re looking to add a unique, friendly touch to your retail offerings, animal-themed decor adds a lighthearted effect for consumers. 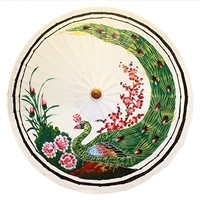 World Buyers specializes in providing retailers with unique home decor in a wide range of styles and our bird-themed category is no exception. Shop bird garlands, bird dishware, nightstand decor, wall hooks and more today! Coin purse with strutting peacock in vibrant purple and green colors. Metal clasp closure. Clearance Price shown nearly 65% off! Little birds to watch over any little bauble you leave behind. Beautiful glass tray with a colorful bird on display. Clearance Price Shown Now Nearly 50% Off! Littlest bird on tray with aqua jeweled eyes. Clearance price shown now 50% off! Vintage bird bath ring tray. Pop in a cute little plant or even place trinkets and jewelry inside. Colorful little metal tray with floral pattern and two perched red birds. Antique blue metal peacock tray. 4 pc minimum. Must order in increments of 4. White ceramic hen tray with red daisy pattern. Little bird photo frame. Antique white metal. Chipping is an inherent part of this piece due to the antique style. Each bird frame will have unique chipping. 6pc minimum. Must order in increments of 6. 3 Minimum. Please order in increments of 3, 6, 9, etc..
Soft blue ceramic bird spoon rest.